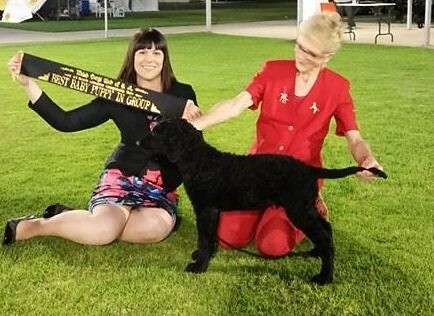 Walker (NZ Ch Dizzyki MS Ganymede) (Dr Linda Broad and Paul Dewight)is now being campained in NZ and won best Dog and RUBOB at the National. 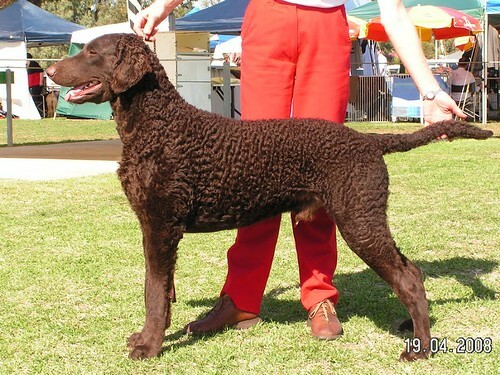 He gained his NZ Ch title recently(2009) Walker recently sired his first litter 2010. 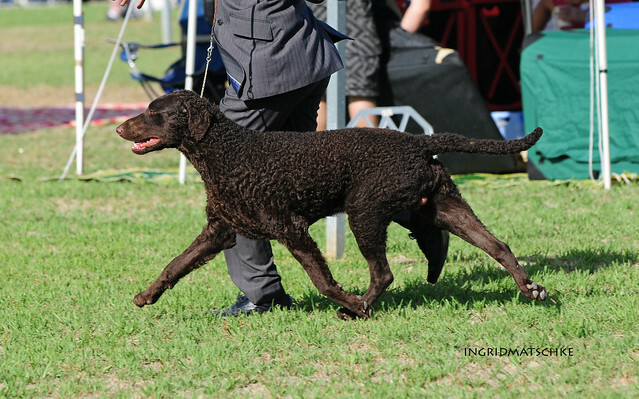 Flute (Dizzyki MG Willow Flute) and Fortune (Dizzyki MS Ariel) are both Best Of Breed and Class in Group winners, as are Dizzyki MC Santorini and Dizzyki MF Nancy Bird Walton. 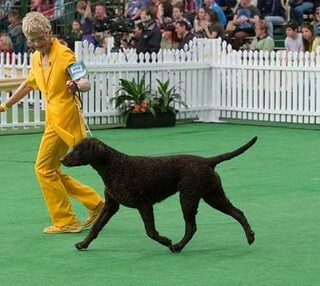 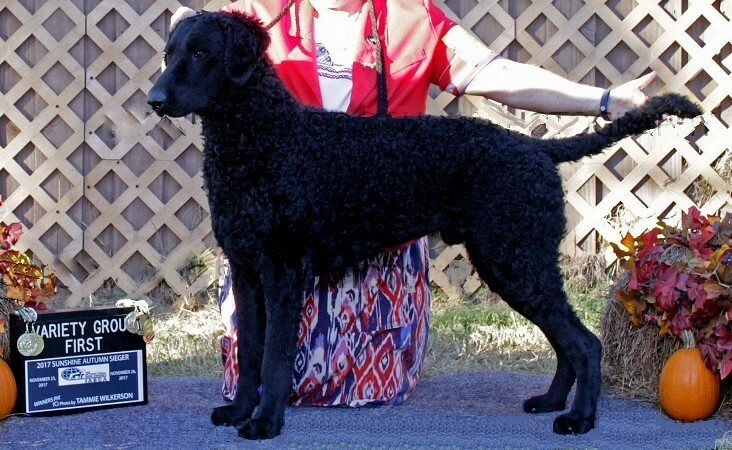 Curltriever Kennels and Kunzulu Kennels have done a lot of winning in Group and in Show with his progeny. 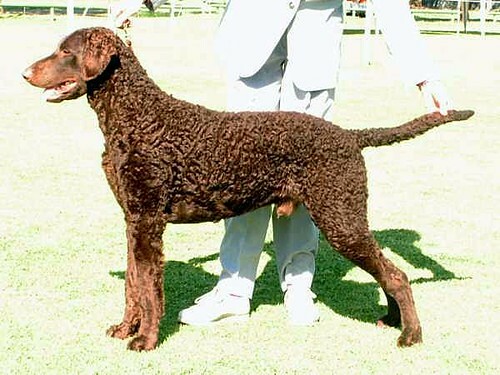 Mow gained his Au Ch Title Nov 2008 and is a R/Up Best in Group and Multi Class in Group winner. 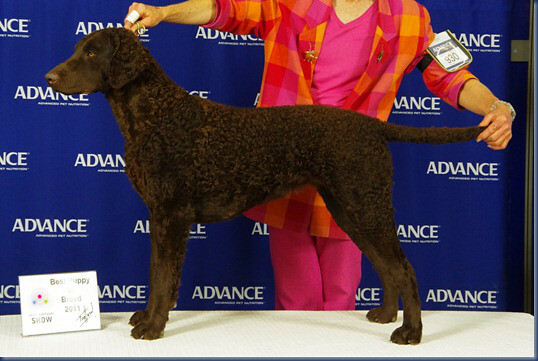 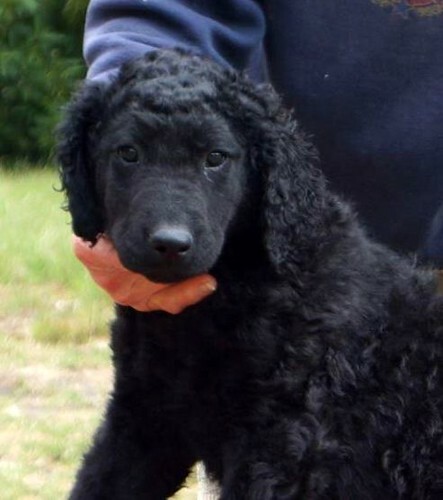 He has produced several BIG, R/up In G, Puppy in Show and classes in show winners in 3 states. 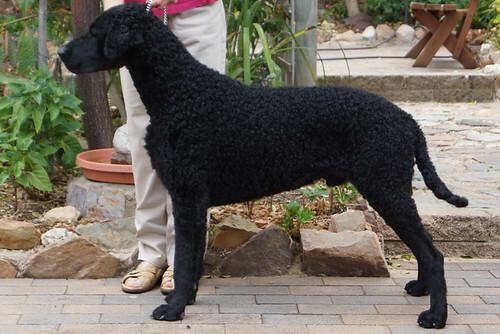 His Grandchildren are doing equally as well.